Labour’s deputy leader has revealed he said goodbye to sugar and sent his Type 2 diabetes into “remission”. 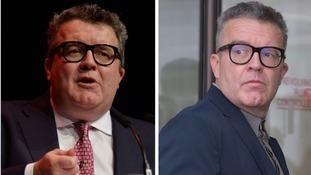 Tom Watson said he has lost more than seven stone (45kg) since, having joined “generation active after a 30-year love affair with beer and curries”. The politician transformed his lifestyle cutting back on sugar and taking up exercise after turning 50 last year with dramatic results. Mr Watson now considers himself “the perfect poster boy to get an ageing population exercising again”. After hitting his milestone 50th birthday, he re-evaluated his life and realised “one of the most important ingredients for political success is, quite simply, staying alive”. He added: “After 32 years as an MP, and in his sixties, Jeremy Corbyn found himself and his ideas perfectly placed to take over the Labour Party. The “former sugar addict” told earlier told ITV's Good Morning Britain about the importance of changing diet.